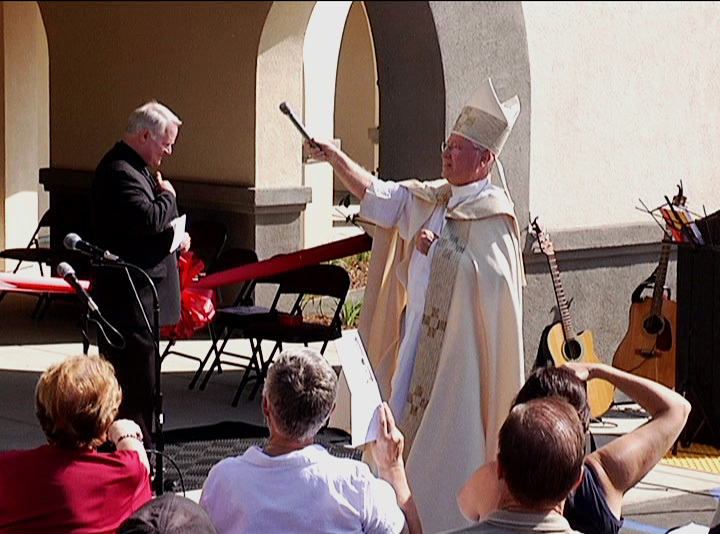 After years of planning and more than six months of construction, Monsignor Richard Martini, pastor of Our Lady of Perpetual Help Church, was handed the keys to the church’s new Pastoral Center. The grand opening ceremony was held Friday morning just outside the facility on the northeast corner of Arcadia Street and Lyons Avenue in Newhall. Parishioners, church clergy, students, city officials and members of the construction and design teams joined together in prayer and song to bless the newly refurbished 9,000-square-foot building that will soon become a central hub for church-related business and parish activities. The center holds 12 offices, six work stations, three conference rooms and a multipurpose room, Martini said. Move-in day is scheduled for Tuesday, Sept. 4. AMG & Associates Inc. was awarded the construction project in January. AMG President Albert Giacomazzi called the project challenging. During a routine inspection, a member of the construction committee discovered that all of the building’s underground sewer lines had collapsed and deteriorated, he said. Despite the major setback, the project was completed on-time and under budget. “This project is a great enhancement to Lyons Avenue,” said Martini. The renovation of the existing 8,200-square-foot building began in January 2012. At that time, the building had been affectionately nicknamed “the aquarium,” Martini said, because of the extensive rain damage it had sustained during a storm about six years ago. Prior to that, the property was used by OLPH as a religious education classroom. It had also been used as both a Jewish synagogue and a Protestant church – at different times. “We say that we’re ‘On the Way’ because in the end, we hope to build a beautiful new church on our campus,” Martini told SCV News in January. The next step for the OLPH construction committee is to begin building a new parking lot for the church. They are currently in the process of obtaining construction permits and expect to open the bid process next month. Construction is expected to begin in November, which will include the demolition and removal of existing structures. The new parking lot is expected to be complete by Spring 2013. 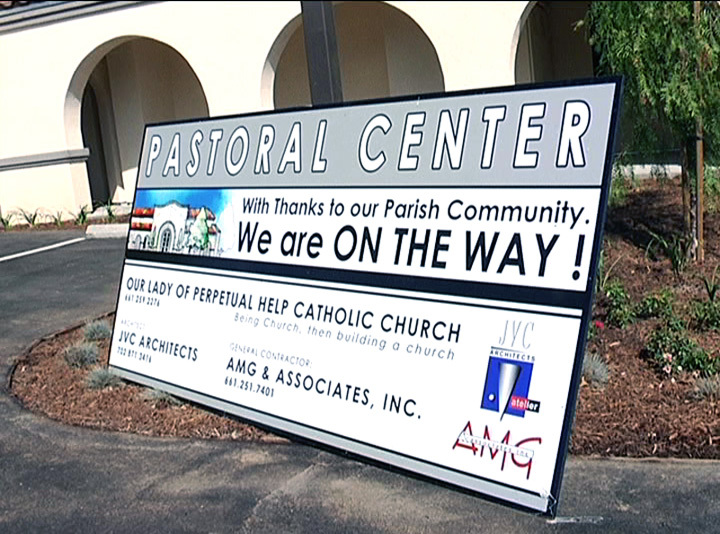 The current pastoral center will soon be refurbished into a residence for the priests. Join LBW Insurance and Financial Services Tuesday, April 30, as Attorney Arthur Rieman of The Law Firm for nonprofits provides an overview of charity regulation in California and discusses the Attorney General’s recent enforcement initiatives against nonprofits.